The town of Monastir, capital of the vilayet of Monsastir, lies just about half way between Bulgarian and Greek territory. North, the majority of Macedonians are Bulgar, south the majority are Hellenes. The villages meet, cross, and mix in the Monastir vilayet. 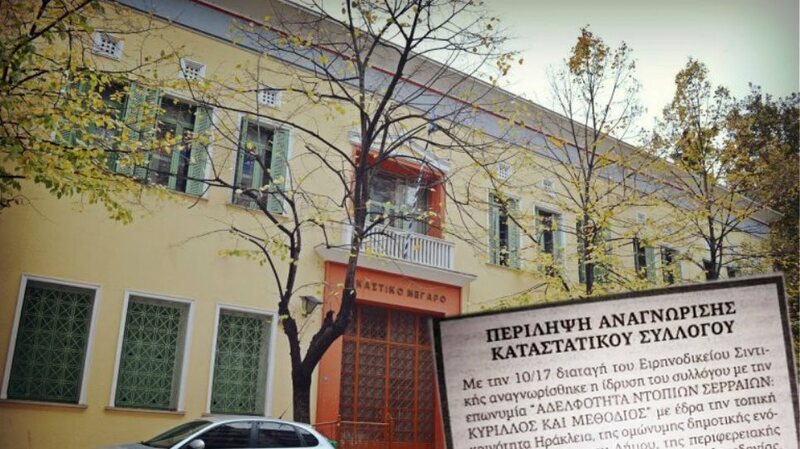 The reason, therefore, we hear so much about disturbances at Monastir is not because the Turks there are more wicked than Turks elsewhere, but because there is a persistent feud between Greek and Bulgarian political religionists. Monastir is an undistinguished, motley sort of town of some 60,000 nhabitants, 14,000 of them Greek, 10,000 of them Bulgarian, four or five thousand Albanian, two or three thousand Jew, and the rest Turk. “Pictures From The Balkans” by John Foster Fraser (published in 1906), chapter 20.
i have some hope that in years to come the inhabitants will think less of their Turkish, Bulgarian or Greek Origin and a great deal more with the fact that they are all Macedonians. There was petty persecution; Bulgarian Christians crossed from Macedonia into Bulgaria proper and told their tales of woe. Then followed raids by armed bands of Bulgarians into Turkey. In time associations were formed in Bulgaria and secret committees in Macedonia to aid the Bulgarian cause. In time came a congress and the formation of the ” High Committee,” having for its object the securing of political autonomy for Macedonia, and pledged, in order to secure it, to take any action ” which may be dictated by circumstances.” The consequence was that peaceful Bulgarians in Macedonia were forced into the revolutionary movement, compelled to secrete arms, made to contribute to the maintenance of the “bands,” and were put to death if they reported to the Turks, or were massacred by the Turks because they were revolutionaries. However oppressive the Turks had been, however zealous were good Bulgarians to save their fellow – countrymen and co- religionists in Macedonia from oppression, the revolutionary movement, as it is in Macedonia to-day, is the outcome of terror and murder. Vatatzes was now quick to perceive the high tide in his efforts and decided to sail with the current. He ventured north to take Melnik, and continued northeastward to capture Stenimachus, Tzapaena and other places in the upper valley of the Maritsa, which became the boundary between Bulgaria and the Nicene empire, all without a struggle, “as though he was taking over an inheritance from his father”. He pushed on into the far northwest, taking Velbuzd (Kustendil) on the upper strymon; moved south taking skopje and trip in teh vardar region; then through Veles, Prilep and Pelagonia in the plains of Monastir; and eastward again to the Vardar where he took Prosek. It was a triumphant progress from beginning to end, but the end was not yet. In less than three months Vatatzes had overrun all Sourthwestern Bulgaria. Affairs of Serbia, 13 August 1903.
wants temporary to proclaim a republic”. the Turks against the Christians”. to John Hay, American Secretary of State.Source: U.S. Deaprtment of State. The name ANTES suggest this people was intermixed with Iranians, and linguists point to a large number of Iranian loanwords in Slavic that were acquired very early. This would not be surpsising if the Slavs came from Ukraine because they would have had contact with both Iranian Scythians and Sarmatians. Indeed the Sarmatians were still to be found in Backa and the Banat near the Danybe at the time Slavs arrived there. May the heroic Serb people at last find the necessary moral force–and they have it, it dwells within them–to recognize spontaneously what has long and unanimously been recognized by history, science, and the national sentiment of the Macedonian population itself, which sees in the Bulgarians ITS BROTHERS in language and blood, and which has fought hand in hand with them for religion, life, and liberty. You seem to be afraid of Kimon Georgiev, you have involved yourselves too much with him and do not want to give autonomy to Pirin Macedonia. That a Macedonian consciousness HAS NOT YET DEVELOPED AMONG THE POPULATION IS OF NO ACCOUNT. No such consciousness existed in Byelorussia either when we proclaimed it a Soviet Republic. However, later it was shown that a Byelorussian people did in fact exist. It should be remembered, to begin with, that there is NO Macedonian race, as a distinct type. Macedonians may belong to any of the races of Eastern Europe or Western Asia, as, indeed, they do. A Macedonian Bulgar is just the same as a Bulgar of Bulgaria proper, the old principality, that in October, 1908, at Tirnova, was proclaimed independent of Turkey. He looks the same, talks the same, and very largely, thinks the same way. IN SHORT HE IS OF THE SAME STOCK. There is no difference, whatsoever, between the two branches of the race, except that the Macedonian Bulgars, as a result of their position under the Turkish government, have less culture and education than their northern brethren. In general, however, the Macedonian Slavs differ somewhat both in appearance and character from their neighbours beyond the Bulgarian and Servian frontiers: the peculiar type which they present is probably due to a considerable admixture of Vlach, Hellenic, Albanian and Turkish blood, and to the influence of the surrounding races. Almost all independent authorities,however, agree that the bulk of the Slavonic population of Macedonia IS BULGARIAN. The principal indication is furnished by the language, which, though resembling Servian in some respects (e.g. the case-endings, which are occasionally retained), presents most of the characteristic features of Bulgarian. 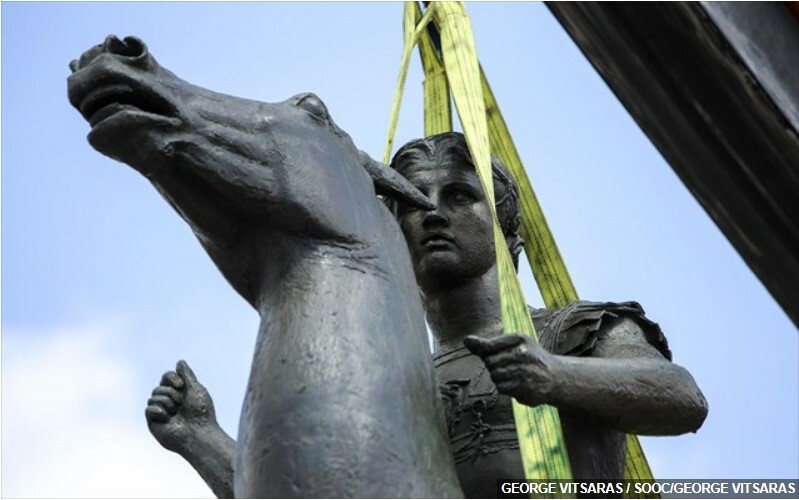 Modern turkish histories present the idea that the macedonian question was the essential ingredient in understanding the volatile mix of problems that ultimately led to Balkan wars. Because the population of Macedonia was primarily Bulgarian, it was influenced heavily by the events of 1878. It is very likely that the establishment of the greater Bulgaria envisioned by the treaty of San Stefano, and which included much of Macedonia whetted the nationalistic appetites of a substantial portion of the Bulgarian population of Macedonia. In Sofia, Bulgarians organized the Adrianople Region- MAcedonia Committee in 1890, and in Salonika, the internal Macedonian Revolutionary committee and Organization was formed in 1893. In order to pave the way to the annexation of Rumelia, the task before the Bulgarian imperialists was twofold. In the first place they had to detach the Slav-speaking inhabitants from the Patriarcate, and attach them to the Exarchate. But that in itself would not have been enough, because of the local distribution of the different races. The Hellenes, as we should expect, occupy the whole of the sea coast in a nearly solid mass, which shades off in approaching the centre and north. The Slav element is equally solid in the north, and fades away to almost nothing on approaching the sea. The danger which the statesmen of Sofia had to fear was an equitable partition of the country on these lines between the two natioanalities, which would leave Bulgaria bigger indeed, but without the coveted coastline of the Aegean, and without that reversion to Contantinople which is the prime goal of Balkan ambitions. […]In order to justify the annexation of the entire territory between Bulgaria and the sea, therefore, it became necessary to create a FICTITIOUS country with a FICTITIOUS nationality. To return to the former illustration, we must imagine an independant Irish Republic desirous of adding the whole of Scottland to its dominion. It would be obliged, in the first place, to teach the Gaelic population that they were Irishmen, in order to enlist their support, and then to preach that Scotland was an invisible whole in order to establish a claim over the low lands. 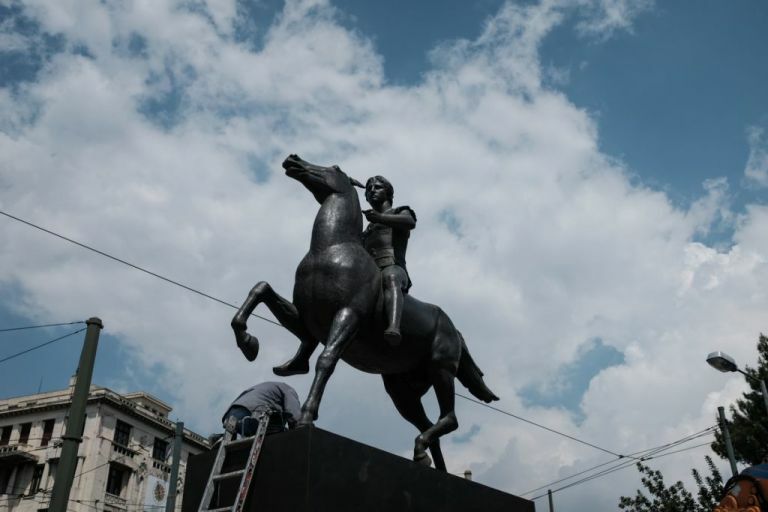 [b]The Bulgarian propagandists found what they required in the word “Macedonia” a name with no more definite significance than Wessex or Languedoc. [/B] Unfortunately for themselves, the Greeks had been the first to make use of this name, with its classical associations, and to give it a wide extension to the north in interests of Hellenic expansion. 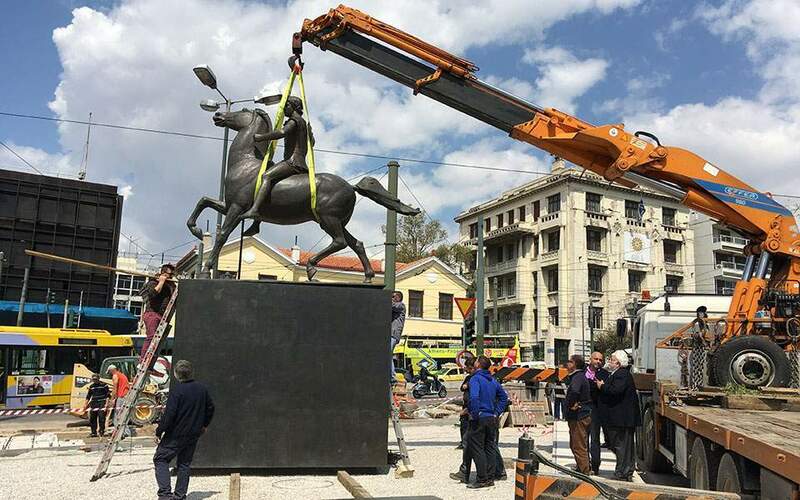 As usual their exaggerated pretensions defeated themselves, and the Bulgars now hoist them with their own petard, by persuading Europe that Macedonia was a definite political entity, like Wales or Switzerland. [..]The Macedonia thus constituted has no more national identity or cohesion than India. But the Christians on the whole outnumber the Moslems by probably four to three, and if the European Powers could be wrought upon to ignore the Moslem element in the population, as is so constantly done by European writers, and erect “Macedonia” into an autonomous state like Eastern Rumelia, Bulgaria would have the fairest prospect of repeating her former coup. It was possibly with a view to some such result that Gladstone threw out the phrase “Macedonia for the Macedonians”, a phrase which, be it said with all respect, could *not* have been used by any man of impartiality and intelligence who possesed a first hand knowledge of the country. The Bulgarians were prompt to adopt it, for the use against the Turks, while keeping that of Macedonia for the bulgars for use against the Greeks. Within the last few years, however, they have felt encouraged to lay claim openly to the remaining vilayet of Rumelia; the committee which directs the Folk War from Sofia has taken the name of “Macedonia-Adrianople” and bands of Comitadjis have been actively at work in the valley of the Martiza. IT IS THEREFORE NO LONGER NECESSARY TO DEMONSTRATE THE MYTHICAL CHARACTER OF THE “MACEDONIAN” nationality in the eyes of every element in the Macedonian population. A letter from Dimiter Miladinov1 (in Ohrid) to Victor Grigorovich2 (in Vienna) about the search for Bulgarian folk songs and relics in MacedoniaFebruary 25th, 1846I have not received a single line since your departure. In the meantime my efforts concerning OUR Bulgarian language and the Bulgarian (folk) songs, in compliance with your recommendations are unsurpassed. I have not for one moment ceased to fulfill the pledge which I made to you, Sir, because the Bulgarians are spontaneously striving for the truth. But I hope you will excuse my delay up till now, which is due to the difficulty I had in selecting the best songs and also in my work on the grammar. I hope that, on another convenient occasion, after I have collected more songs and finished the grammar, I will be able to send them to you. Please write where and through whom it would be safe to send them to you (as you so ardently wish).We are completely convinced, by assurances of the villagers of Glavinitsa, that the stone inscriptions for which we have been looking will also be found. I will study them next spring. It would be wonderful and desirable if, with your assistance, we could ask the Government for the holy relics of Saint Clement of Ohrid, verified by the Great Church of Christ, as you yourself witnessed with your own eye, and requested on your own initiative. And the steps taken before the authorities here concerning the holy relics in question will do much to bring you praise and to confer benefit upon our newly-opened school. I am writing you this letter on the instructions of the notables in Ohrid. Looking forward to an immediate reply in Greek through the same bearer, I greet you with the deepest esteem and respect. Братя Миладинови, Преписка, София (The Miladinov Brothers, Correspondence), Sofia, 1964, p. 15; the original is in Greek. Among the Bulgarians of Prilep, after the ceremony in church is over, one of the brothers entertains his relatives..
Black Bulgarians of Rumanyo origin.The former came in 1830, the latter at the same time with the Gaugauz. The Black Bulgarians speak –those of Macedonian origin writing in Greek , those of the Romanyo countries in Slavonic characters. “The general estimate is that between forty and fifty United thousand Bulgars (from Bulgaria and Macedonia) have come to this country, including those in Canada. Their principal centre was here in Granite City, an outlying suburb of St. Louis, but during the last year the majority of the 10,000 who were here have migrated westward. At present there are less than a thousand here. About 10,000 are now working on the railroad lines in Montana, the two Dakotas, Iowa and Minnesota. The belief is they will return here in autumn, but my own impression is, there will never again be 10,000 of them in Granite City. ” Other important centres are Seattle, Butte, Montana, Chicago, Indianapolis and Steelton, Pennsylvania; but they are too shifting a people to make estimates of their numbers in those centres of any value. “I hope you are not making any racial distinctions between Bulgars and Macedonians. I believe the Bulgars who have come from Macedonia are registered on Ellis Island as Macedonians, which is bound to be confusing and inaccurate, for Macedonians may include Greeks, Vlachs, and even Turks. The distinction between the Bulgars from Bulgaria and those from Macedonia is PURELY political. 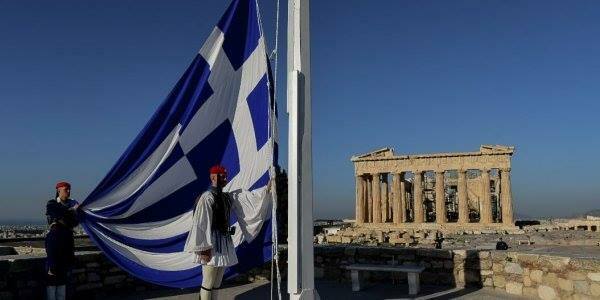 Many of those who are registered as Greeks are so in church affiliation only, being Slavic by race and tongue. “The majority (I should say about 80 per cent) of the Bulgars in this country are from Macedonia, and nearly all are from one small districtin Monastir vilayet; Kostur, or Castoria.Their reasons for coming are fundamentally economic, but the immediate causes are the revolution of 1904, when half the people in Monastir were rendered homeless by the burning of their villages, and the continued persecution of the Greek Church since then, which closed Greece to them as a market for their labor. Not five per cent of the Bulgars in this country came before four years ago. The language of these various populations divides itself into two principal idioms: each of these into three where the difference is less. Of the Southern dialect are the Slovaks, the Serbs and Bulgarians; of the Northern, the Bohemians, Poles, and Russians. The Bulgarians in their turn wanted to exploit the dense presence of Slavonic-Speakers all over Macedonia to support their own irredentist aspirations in the region. A leading part in achieving their national goals was to be played by the Internal Macedonian Revolutionary Organization (IMRO) and the Bulgarian presence and influence throughout Macedonia, particularly in the controversial middle linguistic zone, was considerably strengthened by means of education and the Exarchal Church. This combination was regarded as the best counterweigtht to the Greek Patriarchal influence in the region, in an effort to offset the losses inflicted by the treaty of Berlin. The chief aim of the Bulgarian strategy was to awaken the notion of self-defence in the Bulgarian-speaking population of Macedonia and Thrace, which would urge them to demand and achieve a degree of political autonomy within the Ottoman empirel subsequently they could be annexed by Bulgaria. 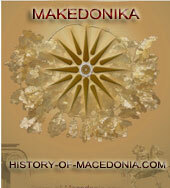 “In 1878 at the time of San Stefano, the population of Macedonia was about one million. Greeks inhabited most ot he coasal districts, and there were many settlement of Vlachs, Serbs and Turks: but many of the Macedonian peasants of the interior classed themselves as Bulgars. Near the ruins of Stobi, on the banks of Erigonus there is a race of Mussulmans, who however speak Bulgarian and are evidently of Bulgarian descent.